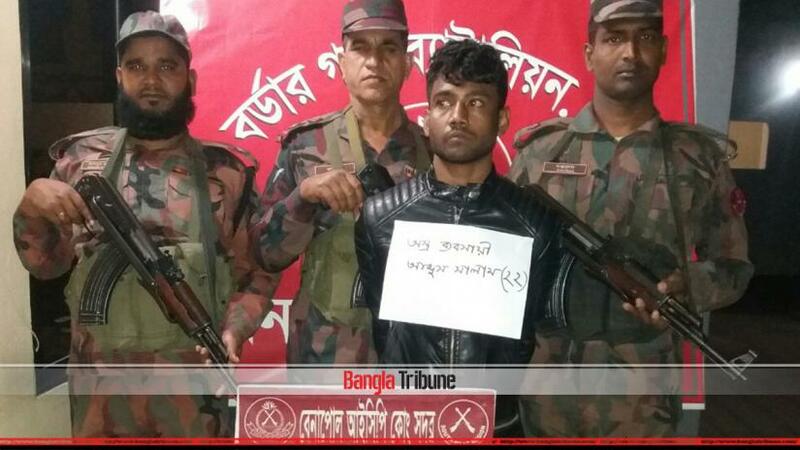 Border Guard Bangladesh (BGB) has detained a man for alleged possession of a foreign gun at Jashore’s Benapole border. The detainee is 22-year-old Abdus Salam who according to BGB officials is an arms dealer has been detained from his own residence on Thursday (Dec 6). BGB 49 battalion commander Lt Col Mohammad Ariful Hoque said a BGB team led a raid at Salam’s residence on a tip off and found the gun in his possession. He has been handed over to Benapole port police station, Hoque added.